Research Interest: Basic medical sciences, Anatomy, Embryology, Neonatology, Histology, Histopathology, Infertility, Gynecology, Obstetrics, Genetics and Congenital anomalies. Biography: Dr. Abdelmonem A. Hegazy is currently working as Professor of Human Anatomy and Embryology Department in Faculty of Medicine, Zagazig University (Egypt); as well as he is a Consultant of Obstetrics, Gynecology and Infertility. He did PhD at Zagazig University, Egypt 1999. He is the former chairman of the Anatomy and Embryology Department, Faculty of Medicine, Zagazig University (Egypt); and Professor in King Saud and Majmaah Universities (KSA) 2009-2013 and Misurata, Faculty of Medicine (Libya) 2000. Dr. Hegazy is also a referee member of scientific research submitted for promotion of professors in Egyptian Universities. Dr. Hegazy participates in a Zagazig University academic, scientific, educational and professional development activities in the fields of medical sciences development, including basic and clinical research, policy implementation, design programs, set coursework plans, curricula, syllabi, scientific conference paneling, as well as designing and delivering a wide scope of continuous professional development programs, including training, strategic planning, research methodology, scientific thesis and dissertation writing; research proposal, medical ethics, organization’s behavior issues, all with emphasis on system and staff development. 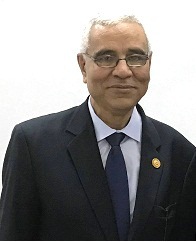 Dr. Hegazy is a member of Institutional Research Board (IRB) unit, Egyptian Medical Syndicate, Egyptian Society of Anatomy, and Postgraduate and Scientific Research Affairs Committee, Faculty of Medicine. His pool of academics consists of original research articles/books/book chapters in various national and international accredited publishing houses. Dr. Hegazy has plenty of scientific publications and projects with many citations. He has got many national and international honors and awards. Dr. Hegazy has been supervising post graduate students in their thesis works. 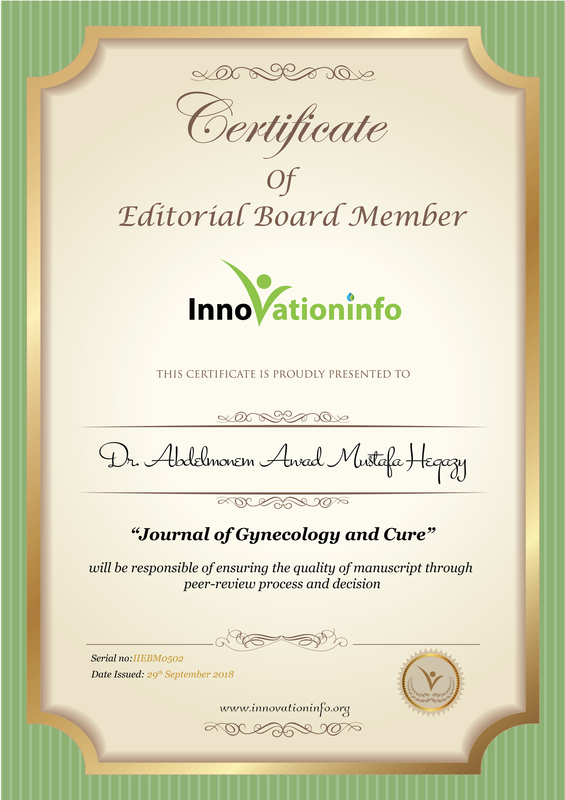 Dr. Hegazy is the Executive Editor of the Zagazig University Medical Journal & the Chief Editor of Journal of Biology and Biotechnology (JBB). He is also a well-known reviewer/referee/editorial board member in many national/international indexed journals. 3. Shield of appreciation from the Faculty of Applied Medical Sciences Majmaah University, Saudi Arabia, 2012. 4. A certificate of appreciation and best distinguished faculty member - from the Faculty of Medicine, Majmaah University, Saudi Arabia 2013. 5. Zagazig University Prize for International Scientific Publications 2017; Zagazig, Egypt. 38. Chief Editor "Journal of Biology and Biotechnology (JBB)"
1. MD Physiology 2016, Titled": Effect of exposure to electromagnetic radiation on oxidative stress and uterine contractility during early and late pregnancy in rats" Submitted by Dr. Eman AbdelRaouf Mohammed. 2. RADIOLOGICAL STUDY OF EXTRADURAL SPACE; STRUCTURE AND MEASUREMENTS OF THE LUMBO-SACRAL REGION OF THE NORMAL HUMAN VERTEBRAL COLUMN. A THESIS FOR MD, FACULTY OF MEDICINE, ZAGAZIG UNIVERSITY, 2005. 6. Changes in liver structure induced by zinc oxide nanoparticles and the possible protective role of vitamin E in adult male albino rats. [A thesis submitted by Marwa Mohamed ElMansy for partial fulfillment of MSc degree in basic medical sciences "Anatomy and Embryology"], Faculty of Medicine, Zagazig University; October 12, 2017. 7. Effect of Induced Hypoglycemia on Postnatal Development of the Adrenal Gland in Albino Rat. [A thesis submitted by Asmaa Monir Soliman Eltaweel for partial fulfillment of MD degree in basic medical sciences "Anatomy and Embryology"], Faculty of Medicine, Zagazig University; October 21, 2017. 2. STUDY OF TOXIC EFFECT OF METHIMAZOLE ON THE CORTICAL STRUCTURE OF ADULT MALE ALBINO RATS KIDNEYS AND THE AMELIORATED EFFECT OF THYROXIN Zagazig University Medical Journal, 24(3):2018-219. 3. Role of Human Epidermal Growth Factor Receptor 2 Antagonist (Trastuzumab) in the Management of Nonmuscle-invasive Urinary Bladder Carcinoma Tumor Microenviron 2018;1:9-25. 10. Anatomy is a misnomer to aims of its study Academia Anatomica International; Vol. 3, Issue 1, 2017; Page: 1. 30. CLINICOPATHOLOGICAL SIGNIFICANCE AND CORRELATION OF SURVIVIN, HER2 AND BCL2 EXPRESSION IN BREAST CARCINOMA ZUMJ Vol. 20; N.6 November; 2014: 883-898. 34. Expression and Significance of Ezrin and E-cadherin in Colorectal Carcinoma Int. J. of Adv. Res. 2 (7): 936-944, 2014. 36. Fine needle aspiration cytology and cell-block study of various breast lumps-American Journal of Biomedical and Life Sciences. Vol. 2, No. 1, 2014, pp. 8-17.". 37. Radiographic morphometric study of the normal distal humerus in adult Egyptians- International Journal of Advanced Research-2013, 1(9):155-161. 46. Anatomical Variations of the Human Nasal Osteomeatal Complex, Studied by CT. Zagazig University Medical journal, Special Issue, for 16th Zagazig Annual Conference, 72-83, March, 2009. 48. A MORPHOLOGICAL STUDY OF THE SACRAL HIATUS Zagazig University Medical Journal, Vol. XII, No.3 July, Pp. 2877- 86, 2006. 50. DISTRIBUTION OF THE PERFORATING ARTERIES OF THE LOWER LEG. Zagazig University Medical Journal, Vol. X, No.1., Pp. 1434- 25, 2004. 51. POSTMENOPAUSAL ENDOMETRIAL CHANGES IN WOMEN WITH UTERINE BLEEDING. ULTRASONOGRAPHIC ASSESSMENT WITH HISTOLOGIC CORRELATION. Zagazig University Medical Journal, Vol. X, No.1., Pp. 741- 50, 2004. 52. MORPHOMETRIC STUDY OF THE CAROTID CANAL AND SKULL BASE IN EGYPTIANS. Zagazig University Medical Journal, Special issue for Annual Conference of Faculty of Medicine, Pp. 358-366, November, 2003. 53. INFERIOR EXTENSOR RETINACULUM OF THE HUMAN ANKLE; ITS MEDIAL AND LATERAL ATTACHMENTS AND ARRANGEMENT OF STRUCTURES DEEP TO IT. Zagazig University Medical Journal, Vol. IX, No.3., Pp. 92- 100, 2003. 54. ULTRASONOGRAPHIC MEASUREMENTS OF NORMAL SPLEEN IN PRESCHOOL CHILDREN OF SHARKIA GOVERNORATE, EGYPT AND THEIR CORRELATION WITH THE LENGTH OF NORMAL LEFT KIDNEY AND SOME OF BODY PARAMETERS. Zagazig University Medical Journal, Vol. IX, No.1., January Pp. 384- 402, 2003. 55. LIGHT AND ELECTRON MICROSCOPIC STUDY OF THE OVARIAN SURFACE EPITHELIUM (OSE) OF THE ADULT ALBINO RAT. Zagazig University Medical Journal, Special issue for Annual Conference of Faculty of Medicine, Novemb-er, 2002. 56. CELLULAR LOCALIZATION OF PROLIFERATING CELL NUCLEAR ANTIGEN (PCNA) IN THE INFERTILE TESTIS (A MARKER OF ACTIVE SPERMATOGENESIS). Zagazig University Medical Journal, Vol. VIII, No.5. Pp. 1769- 84, 2002. 57. LIGHT AND ELECTRON MICROSCOPIC STUDY OF NORMAL UROTHELIUM AND TRANSITIONAL CELL bCARCINOMA OF THE BLADDER. Zagazig University Medical Journal, Vol. VII, No.5. Pp. 2215- 32, 2001. 58. LATE GESTATIONAL LUNG DEVELOPMENT IN RABBIT WITH SPECIAL REFERENCE TO EFFECT OF CORTISOL. Zagazig University Medical Journal, Vol. V, No.1. Pp. 381- 407, Jan. 1999.